Bachelorette Party Store - Buy Adult Costumes, Custom Accessories, Bachelorette Party Games & More - Make your Bachelorette Parties Fun! Buy Adult Costumes, Custom Accessories, Bachelorette Party Games & More – Make your Bachelorette Parties Fun! Our bulk fake mustaches are all strips of plush that have sticky on the back. The 6 Self Adhesive Fake Mustaches are great for a fun mustache party this November. Perfect fun party giveaways for events and clown parties for kids. This set of 6 fake bulk self adhesive mustaches boasts a variety of distinctive styles. Not for children under 4. Buy in bulk and save more! Slip under the radar and stay stylish doing it – with Our Newest Mustache Shape Sunglasses. Wear your mustache glasses at night! Perfect for Halloween, parties, concerts and gag gifts for you and your friends. 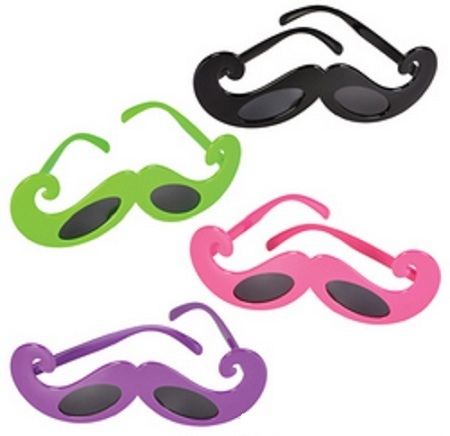 Show off your Mustache Sunglasses for the world to see! Made of plastic. Assorted colors. Sold by Dozen. Great for Movember Mustache Party Fundraisers! Buy in bulk and save more! Perfect for party favors, giveaways on Cinco De Mayo or other Mexican Holidays. Polyester Mexico flags are very attractive, durable and great value. The flag is finished with a sturdy white canvas heading and grommets. 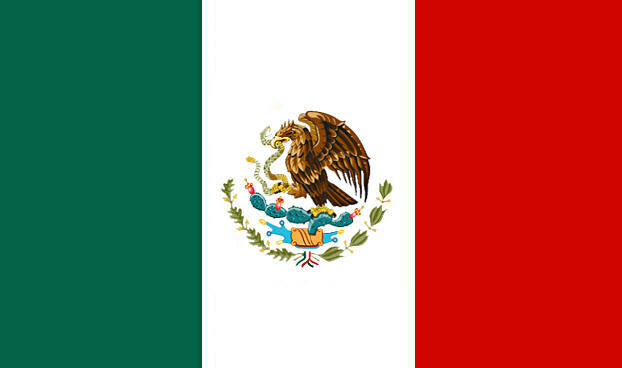 Mexican Flag is 3′ X 5′ FT lightweight polyester flag with sharp colors. Each sold separately. Show your Mexican pride! Honor your heritage with this hitch cover featuring the Mexican flag. The flag is finished with a sturdy white canvas heading and grommets. This Mexican Flag is a perfect decoration for Fiestas, Cinco de Mayo, Diez y Seis, or any other Mexican-themed party or event. DOZEN Mexican Flags 3′ X 5′ FT lightweight polyester flag with sharp colors. Great for parties including Cinco De Mayo. Show your Mexican pride with this great flag. Mexican flags are a simple and easy Mexican Party decoration that everyone will notice and admire. Polyester Mexico flags are very attractive, durable and great value. 12″ long and 18″ wide. Mounted on a 24″ wooden stick. Sold By Dozens, Buy in Bulk and Save! 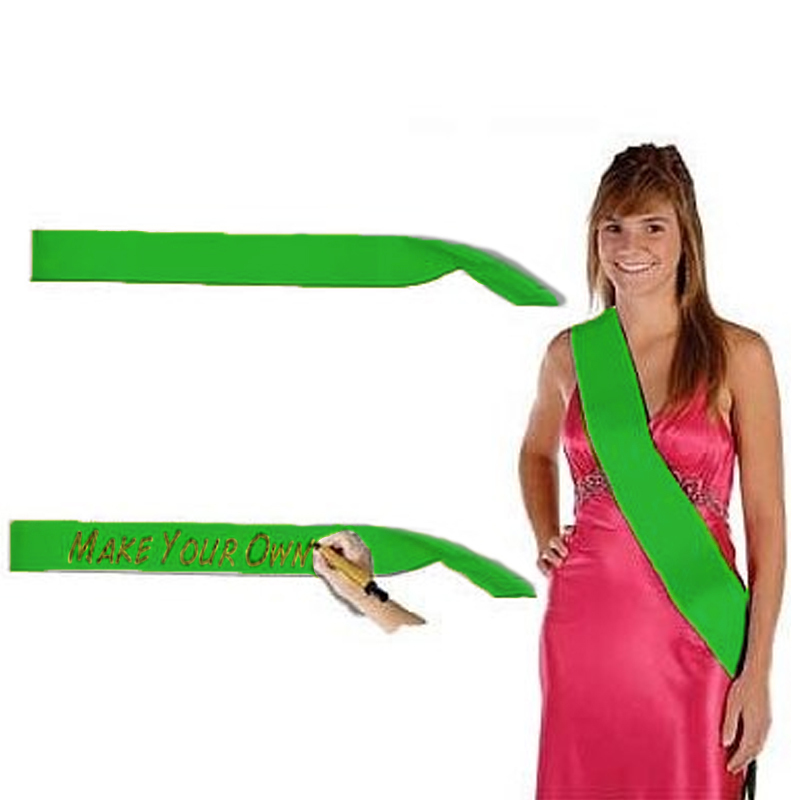 This gorgeous Imprintable Kelly Green Satin Sash is perfect for the rehearsal dinner, other pre-wedding celebration, any birthday, wedding, bachlorette party, graduation and pageant etc. The big celebration time to start! Get yours today! Makes a great gift! These Satin Sashes are available in many great colors, includes black, white, gold, silver, royal blue, orange, pink, red and yellow. 33″ long x 4″ wide. Great for Pageants and Weddings. Call for Bulk Pricing! 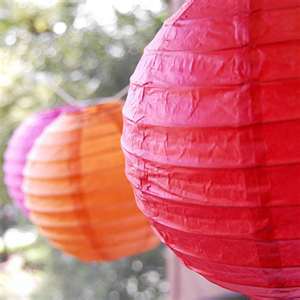 Forget the ubiquitous balloon and show your style with paper lanterns in splashes of fiesta colors. Set a festive table using cluster different sized Fiesta Cinco De Mayo Paper Lantern Decorations above the table to add a touch of drama! Great for fiestas, Cinco de Mayo celebrations or special occasions! Featuring 6 lanterns in 4 sizes (2 measuring 8″, 2 measuring 10″ and 2 measuring 12″ diameter), these wire-supported paper globes are in pink, yellow, teal, orange, green, and red. This set of Fiesta Cinco De Mayo Fan Decorations contains an assortment of vibrant colors in orange, red, sky blue, yellow, purple and green. Each package contains two – 16″, two – 12″ and two – 8″. Fiesta Paper Fan Decorations that may be used for any type of Fiesta celebration! 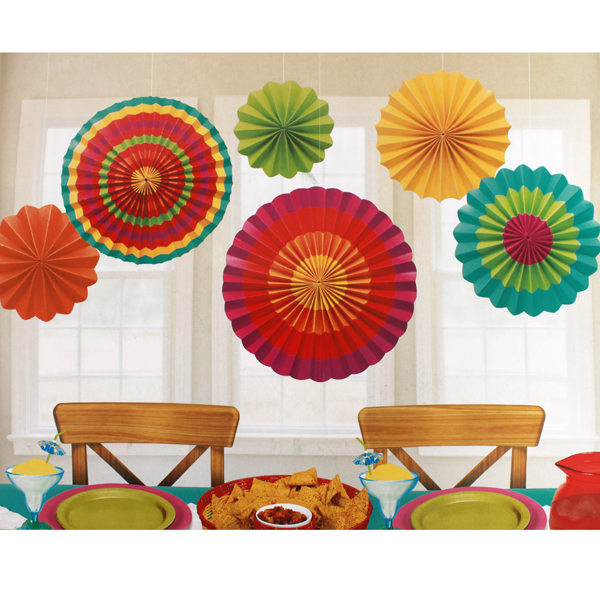 Hang these adorable Fiesta Cinco De Mayo Fan Decorations from the ceiling, wall, or window for a fun and festive look that will have guests hopping with joy! Let’s party by Mexican Cinco De Mayo Fiesta Deluxe Headband will surely help you reach this goal. 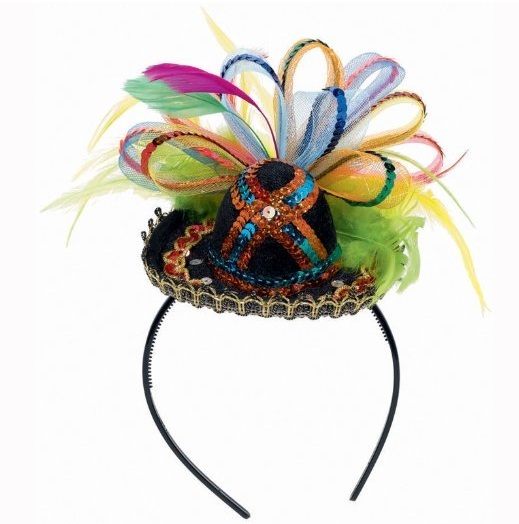 Fiesta Deluxe Headband Material is made out of felt, sequins, feathers, plastic band. Mini sombrero on headband with colorful tulle and feather accents. Great way to instantly create a costume. Show everyone your holiday and Cinco De Mayo Fiesta spirit with this fun headband. Makes a great party gift for your guests. The Fiesta Table Runner is an attractive addition for your fiesta or Cinco de Mayo. Update your home decor with this attractive Mexican Fiesta Table Runner. Together with your beautiful centerpieces and table setting for fiestas and Cinco De mayo, this table runner has rich hues and is high quality for the price. It creates an inviting ambiance for your guests. Size is 11″ wide by 72″ inches long. Best Sellers – On Sale!